Waiting for season two of House of Cards? Me too. Which is why I think you'll enjoy the trailer for the second 'season' of the Emmy winning Netflix hit. Funny to call it a 'season' when so many of us will binge on it back to back. If you haven't seen the show you may want to catch up on season one before February 14th, 2014. That's when the complete second season will be available to downstream. Not exactly my idea of a Valentine (make mine a good old fashioned box of See's Bordeaux, please) but plenty dark and delicious. Are all my fellow bookish movie fans familiar with the books from Michael Dobbs? And the award winning UK television series? Check out Mr. Dobb's site for his response to the success of both adaptations. Okay, Netflix, bring on season two and "bring on the butchery!" 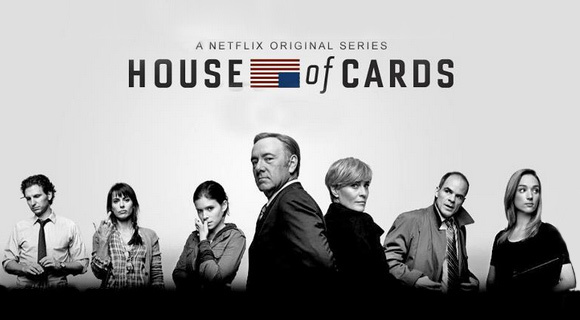 Watch the House of Cards season two trailer and tell me, can you wait?